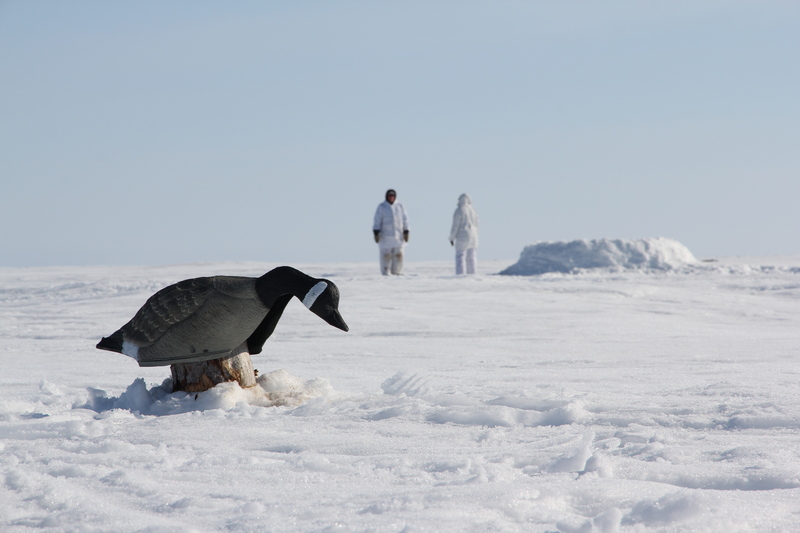 In this essay, Michelle Smith explains how indigenous voices are rare in gaming culture and describes her inspiring project to develop a video game exploring the rich and honoured tradition of the Cree’s spring goose hunt. Last April I had the privilege of participating in the spring goose hunt with the family of my friend and colleague, Paul Rickard. 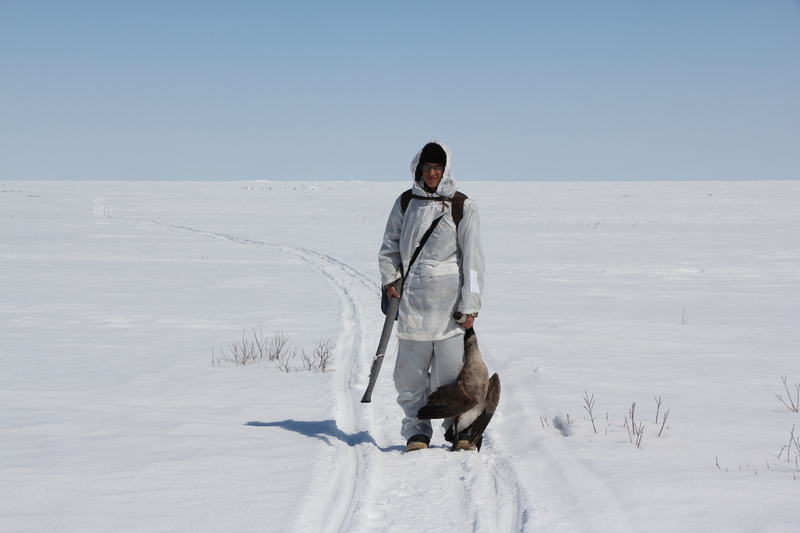 The spring goose hunt has been practiced by the Cree of the James Bay region since time immemorial. In the past, the hunt was a time of renewal of life and provided a food source after a long winter. This significance has not changed much over the years. Cree communities empty out in April as families head to their traditional territory to reconnect with the land and spend time with family. Today the hunt plays an increasingly important role in the transmission of Cree culture, skills and values like sharing and respect. After travelling from Montreal to Timmins, Ontario, on to Moosonee then by skidoo taxi to Moose Factory, we were helicoptered into an area on the shores of James Bay, about 850 km northwest of Montreal. Paul has been coming to this area, his family’s traditional territory, since he was a boy. We would spend 10 days unplugged, without internet or electricity, running water or heat, waiting for the northward migration of the Canada Geese. We would also be thinking about how to transmit this rich and honoured cultural experience to a video game. 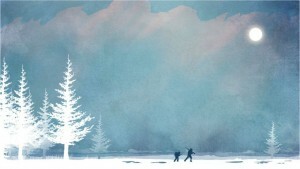 Paul and I are collaborators on a video game project called Niska. Niska is Cree for Canada goose. The game was inspired by two of Paul’s documentaries about goose hunting. The film, Ever Good Hunter Me, features Paul’s family, including his father and teen nieces and nephews on goose break. When I watched a rough cut of his latest film a couple of years ago, I was convinced the hunt would make a great game. The goose hunt includes precise actions and rules, clear goals and outcomes that we could envision being translated to game play. I had just finished an interactive documentary about Michif language and culture and was excited about interactive storytelling and the potential of digital media to provide immersive experiences. We also liked the possibility of using the latest media technology to tell indigenous stories. Both Paul and I had been making films and media about our respective Cree and Métis communities; a game seemed like a natural extension of that. More than a game to accumulate points, Niska will invite players to participate in a colourful and engaging narrative world which is guided by teachings and ways of knowing that come from survival on the land. Players will learn and practice essential hunting tasks such as building a shelter, making a blind and predicting the arrival of the geese by the wind and weather. To move forward in the game, they will be required to demonstrate these skills but also pay attention to the advice of elders. In doing so players will become part of a larger story, experiencing Cree culture and creating their own personal narrative as they navigate the landscape and contribute to a successful hunt. From Farmville to Black ops, game production has increased substantially in the last decade, with profits doubling in 3 years to over 25 billion in 2010. Videogames have become the entertainment option of choice for youth in many parts of the world. We know this is true for youth in Cree communities, many of whom have developed approaches to game play which include sophisticated strategizing, collaboration with friends and family across communities, and creative storytelling. Video games provide the most immersive experience of any media. Gamers don’t just watch or observe, they take on a role. Players are active participants, they become engaged and involved, making decisions and taking action within a complex world which can have an impact beyond the game. A number of ‘social issue games’ have tapped into this potential. Games for Change (G4C) a New York based non-profit, created one of the first examples of social action gaming, Dying for Darfur, a videogame which involves players in the campaign to stop the genocide in the Sudan. G4C’s latest title, Half the Sky, engages players in the global issue of violence against women and enables players to make real-life donations to women’s organizations. Indie game SPENT invites players to make hard decisions around poverty and unemployment and uses facebook for players to reach out to community to find solutions. Similarly, our hope is that Niska will have an impact beyond the game. Today there are fewer opportunities for indigenous youth to experience traditional practices on the land. During research and discussions in the Cree communities, educators, parents and elders told us that they are looking for ways to share teachings with young people and engage them in Cree cultural practices. We hope that Niska will not only teach youth about hunting and validate this important cultural practice but will encourage real life cultural experiences. One way we plan to do that is to offer Niska players the chance to win a trip to take part in an actual spring goose hunt. Social issue games are also about representing experiences and voices that are not commonly seen in games. The experiences of women, people of colour and LGBT communities remain underrepresented in most games (although initiatives like Concordia University and Dawson College’s ‘Critical Hit’ Games Collaboratory hope to support the creation of social and cultural games in a move towards filling this gap). Similarly, indigenous voices and realities are rare in games. The mainstream game world is largely a white man’s playground. We hope that we can contribute to the diversification of stories and identities in videogames. Niska will be narrated in several Cree dialects, making it the first ever video game in the Cree language. Community members, including Cree teachers, are excited about the potential of the game for education. Advertisers have long realized the potential of video games for sustained messaging. We can do the same with messaging about social concerns and realities. Paul and his family teaching me to set snares, make a decent fire, pluck geese and prepare goose stew for a family feast. The terror when the goose I was plucking let out a long loud honk and I shrieked and threw it on the ground thinking it was still alive. It had indeed been killed by Paul’s 17 year old nephew. The luminescent forest from the light of the full moon at 3am. Seeing Paul’s father sit at the shores of the bay for hours watching his grandson go through his first day at the blind on his own. The excitement of the first kill, the enthusiasm of Paul’s teen nieces and nephews for hunting and their pride in being a good hunter. The understanding when Paul’s brother-in-law told me how nice it was to spend time with his daughters and granddaughters without the distraction of TV, computers, and ironically, videogames. Niska is currently being developed by Creators Paul Rickard and Michelle Smith and Producer Mushkeg Media in collaboration with Toboggan, a youth oriented game company. To find out more about Dawson College-Concordia University’s project to promote social and cultural games, click here.